Well... I've received emails in regards to my calendar and I've decided to move forward with a limited edition ready-made option. 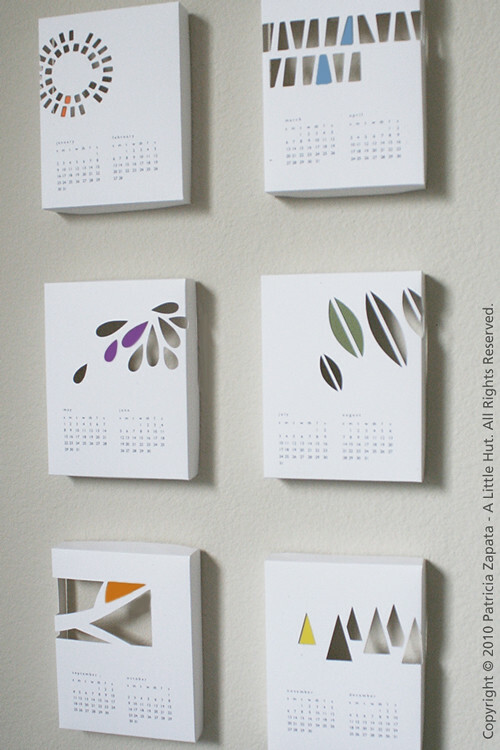 Here you can see how our calendar is already up in our studio—I added a bit of color to each box. Thank you so much for those of you that are interested in ordering! 2011 Calendar ready made option, SVG files and printable PDF.